From 1 November DENIC is hiving off its non-core activities, including DNS Anycast Services, Data Escrow Services and Direct Services Newly Grouped, to a newly formed subsidiary called DENIC Services GmbH & Co. KG that will be located in Darmstadt, about 30km south of Frankfurt where Denic eG is located. The fully owned subsidiary of the German country code top level domain (ccTLD) manager DENIC eG will focus on the provision of technical and administrative services within the Internet ecosystem and take over from DENIC eG a number of existing business lines outside the parent organisation’s core business. Initially, the new company will take care of Direct Services, and then, step by step, extend to the assumption of DNS Anycast Services and Data Escrow Services as well. The management and operation of Internet domains under the Top-Level Domain .DE will yet fully remain within the responsibility of DENIC eG, which will thus focus more strongly on running and expanding its member business. DENIC Services GmbH & Co. KG will assume the marketing of DNS Anycast Services for Top Level Domain operators and of Data Escrow Services for registrars and registry operators of generic Top-Level Domains (gTLDs). For domain name registrants who have not registered their domains through a registrar (DENIC member), but directly with DENIC (DENICdirect), the subsidiary will take over the provision of customer service, starting from November. 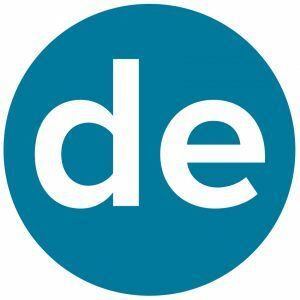 Notwithstanding, DENIC eG shall remain party to all domain contracts for domains under .DE, including those of direct customers. For the provision of its services, DENIC Services GmbH & Co. KG will make use of DENIC eG‘s technical infrastructure on a fee-paying basis. Clients from DENIC’s DNS Anycast Services, Data Escrow Services or Direct Services will thus be able to continue benefitting from DENIC eG’s technical expertise, whilst customer care then provided by DENIC Services GmbH & Co. KG will be tailored even more specifically to customer needs. The main reason for the new corporate structure is the Cooperative’s core mandate in accordance with DENIC’s Statutes, i. e. managing and operating Internet domains under the Top-Level Domain .DE, which DENIC eG provides together with its members. The new structure will suit these circumstances more appropriately, by clearly separating services that are not covered by DENIC’s Statutes or that are not provided to the members of the Cooperative, and assigning them to the new subsidiary, DENIC Services GmbH & Co. KG, established specifically for this purpose. The changes follow a suggestion from the Executive Board in April 2018 for the General Assembly of DENIC eG to set up a subsidiary, with the aim of transferring the non-member business and the associated complementary business lines into a new, affiliated company. The new company will also be committed to the cooperative values of DENIC eG. Accordingly, part of the new company’s revenue will also go to projects and initiatives that will advance the interests of the overall Internet community. At the ICANN63 Public Meeting in Barcelona, Spain, this week from 20 to 25 October 2018, DENIC eG and its new subsidiary are exhibiting at a joint stand (Booth TT1).